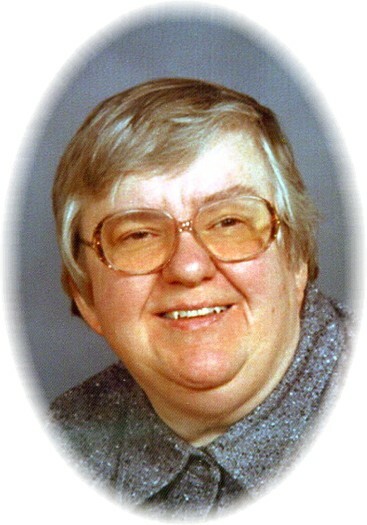 Sister Dorothy Veronica Forman, 70, of the Sisters of St. Francis of Tiffin, Ohio, died at 10:25 am Friday, March 22, 2019, at Bridge Hospice Care Center, Findlay. Surviving is her brother John Forman. She was preceded in death by her parents, and two brothers, Cecil and Albert Forman. She earned her Bachelor of Arts Degree in Religious Education from Lourdes College. Sister Dorothy was a Sister of St. Francis, Sylvania, Ohio, from August 1984 to February 15, 2003. During that time her ministries included pastoral care and social activities for the infirmed sisters at the motherhouse, being a pastoral associate and Director of Religious Education at Mt. Carmel in Temperance, Michigan, and Our Lady of Lourdes in Toledo, Ohio. She was the first development director for the Sylvania Franciscans, and she served as the telephone receptionist at Padua High School. On February 16, 2003, Sister Dorothy became a Sister of St. Francis of Tiffin, Ohio. She was a freelance writer, and she served as a Minister of Presence, Hospitality, and Prayer. At the time of her death she was a Minister of Prayer and Hospitality. Sister Dorothy shared her creativity with others by designing cards. She thoroughly enjoyed playing cards and visiting with family and friends. Visitation will be Monday, March 25, 2019, from 2 to 4 pm, at St. Francis Home Chapel, and 5 to 7 pm, at St. Francis Convent Chapel, with a wake service at 7 pm at the Convent Chapel. Visitation will also be Tuesday, March 26, from 9 to 11 am, with the funeral Mass at 11 am, at St. Francis Convent Chapel. Private burial will be in St. Francis Convent Cemetery. Arrangements are under the direction of the Traunero Funeral Home and Crematory, 214 S. Monroe St., Tiffin, OH 44883 (419) 447-3113.